The Clay Township Fire Department consists of two stations, one on Harsens Island and one on the Mainland. Fire department personnel are trained in firefighting, emergency medical response, hazardous materials, water/ice/dive rescues and many other aspects of emergency services. 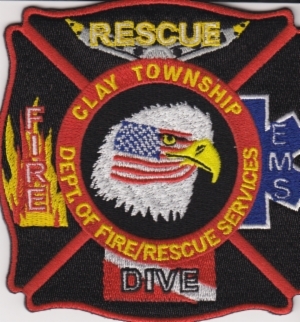 The Clay Township Fire Department maintains a State of Michigan Basic Life Support license which allows EMT personnel to respond to medical emergencies.